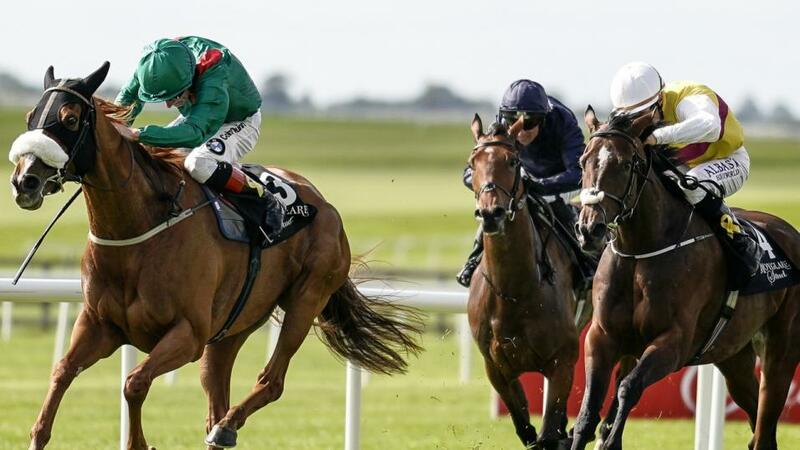 "...made a winning reappearance last season and is taken to repeat the dose this time round..."
The Names Jock shaped as if comfortably ahead of his mark when a staying-on second in a competitive event at Navan on his first outing for this yard so provided he gets the breaks he should be able to gain compensation. Never Rains hasn't shown his all yet and warrants respect on handicap debut, while Muntahez should be capable of better at some point this year. Who's Steph made a winning reappearance last season and is taken to repeat the dose this time round. Both her pedigree and her effort in a Group 2 when upped to 1¼m at the Curragh in September suggest that this trip will be within range. Cimeara was progressive in 2018 and merits respect on debut for new connections, but a bigger threat may be posed by another upwardly mobile type in Echo Park. Dermot Weld has made a flying start to the turf season and Scorpion Black gets the nod to provide him with another winner. Latchet needs considering under a penalty for Wednesday's Leopardstown win, while Institution is also of some interest on his first Flat start for Charles Byrnes, particularly if the market speaks in his favour.